I am regularly called a teenage girl. Most of the time, its in response to my enthusiastic love for the Buffyverse. If one has to be a teenage girl to appreciate Joss Whedon’s teen drama amongst vampire world, I’m pretty okay with that. People who love Buffy tend to love this episode. Why? Well, its probably not because the actors are great singers. They’re kind of really bad (except Giles, the Monster of the Week, and maybe Tara). I think people love the episode because it fully integrates itself into narrative at that moment in Buffy’s story. Some shows have musical episodes that are tangential to the series plot. Once More, With Feeling furthers the complicated angst of season 6 by having Buffy sing, rather than talk, about how her friends dragged her out of a nice happy afterlife (one without, you know, bunnies). Most shows have a really idiotic excuse to explain why everyone is singing. Buffy comes close to outdoing the best monster of the week show ever by using its monster to make everyone sing about their lives. The challenge in picking songs for us to do at this show revolved around finding a few moments that involved just a couple of singers. We’ll be doing the big baddy Sweet’s opening number What You Feel and Anya and Xander’s song I’ll Never Tell. Hopefully, if you all like these, we may return to the episode’s book down the road and do a couple more. I know I’d love to get a big chorus together to do They Got The Mustard Out. Between this episode and Angel’s Lorne, its clear that Joss Whedon has a thing for musicals. I’m pretty sure he’s a Sondheim fan, and I think he should incorporate more singing into his works. Spidey already has his own musical, so there’s no reason he can’t expand the concept to other Avengers. 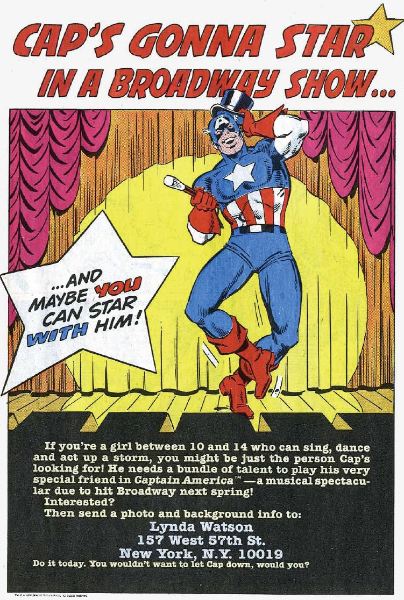 It seems perfectly sensible to have Captain America lead a big chorus line at the end at the end of the next Avengers film. Come see us play the music from Once More, With Feeling and more on February 2nd at the First Unitarian Church. Tell your friends! Advanced tickets are cheaper than at the door! Previous Previous post: Next Show: Groundhog’s Day!